Did you know that indoor potted plants can help you sleep? It’s true! Many indoor plants are known for their air filtering properties and help clean the air in your home, which makes for fewer sniffles and a better night’s rest. Check out our tips to find your best leafy sleepover buddy, from the Max & Miles foliage and succulent collection. Succulents are a great slumber party addition because they continue to produce oxygen all night long. Most plants relax at night, like you - but the succulent keeps improving air quality 24/7. The Sansevieria, “snake plant,” or “mother-in-law’s tongue” (rude!) 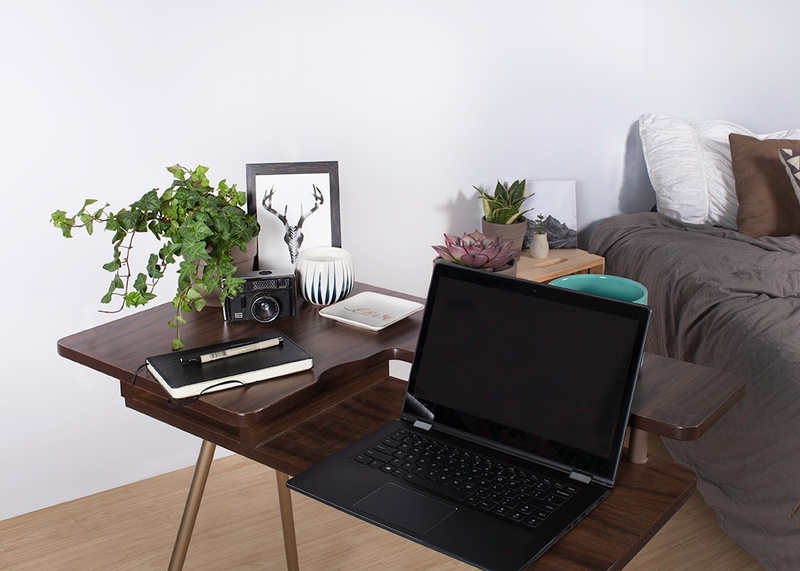 is another oxygenating plant that keeps working for you overnight, making it a great addition to your room if you want cleaner air and a better sleep. The spider plant is a top air purifying plant, and it’s pet friendly too so you won’t lose any sleep worrying about Fluffy taking a bite. If your pets are particularly interested in plants you can try a braided rope hanger to keep them out of reach. Ivy is a great air purifying plant that removes mold from the air. If you’ve ever been in a moldy house or room you know how much it can affect your breathing and sleep, so stock up on potted ivy plants for a beautiful decor item that also helps you breathe deeply. Pothos is mildly toxic to animals, so keep it out of reach from pets and kids, but it’s another excellent leafy buddy to keep the air in your bedroom clean. It reduces airborne toxins and VOCs. Who’s coming to your slumber party?